Walking into the AMC 20, I didn’t know what to expect. Hearing reviews ranging from incredible to disappointing, I decided to not hold the movie to the book, which I had read months previous. Walking out of the theater, I knew I enjoyed the movie but could not get past the nagging feeling of the stark similarities between “The Hunger Games”. “Divergent”, the first book of a trilogy by Veronica Roth, was a fast-paced, high-action movie. The movie is set in a dystopian Chicago, 100 years after a great war, which left the city scarred. The leaders built a wall around the city and divided the people into five factions which are based on their characteristics with the intention of keeping peace. The main character, Beatrice Prior, was born and raised in the self-sacrificing faction Abnegation. After taking an aptitude test, she finds out she’s what they call divergent, meaning she doesn’t conform to the patterns of the factions. Unfortunately for her, the leaders are hunting divergents to eliminate. Fighting against authority, she battles for what she believes in (sound familiar?). This is only the latest in a dystopian fiction frenzy started by “The Hunger Games” trilogy. 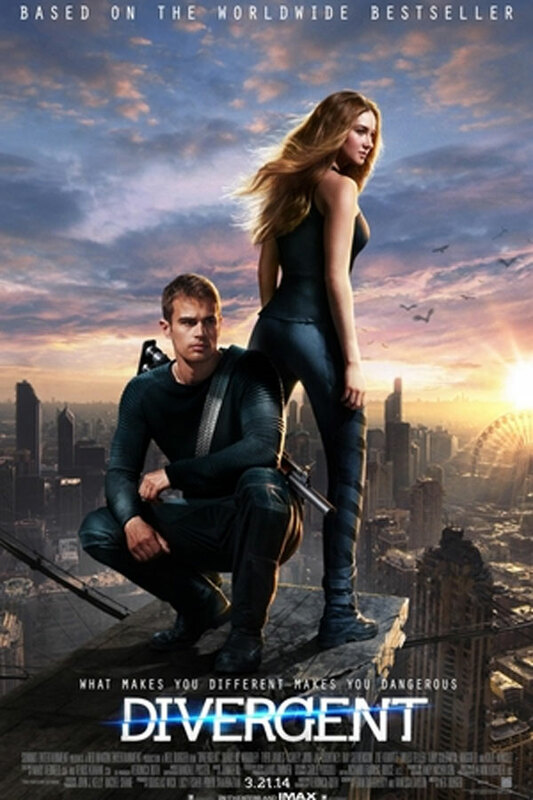 “Divergent” is the next forerunner for popular dystopian fiction novels turning into big screen movies. “The Maze Runner” by James Dashner, “The Giver” by Lois Lowry, “Legend” by Marie Lu and “Matched” by Ally Condie are all popular dystopian fiction books that are in the works of being turned into a film. The movie was entertaining, and I’m glad I watched it. However, I didn’t feel like the movie was original or unique. I suggest the film to anyone who has read the book, loved “The Hunger Games” or enjoys watching dystopian fiction.